If you have been trying to figure out how to increase leads to your real estate website, there are some simple website fixes that may help. As a dedicated real estate professional, you’ve probably invested a lot of time and effort crafting the perfect real estate website to attract visitors. You started with a responsive real estate website design so your site will work flawlessly on all mobile devices. You’ve written interesting copy that brings your real estate listings and neighborhoods to life, and applied SEO strategies to optimize your content for search. 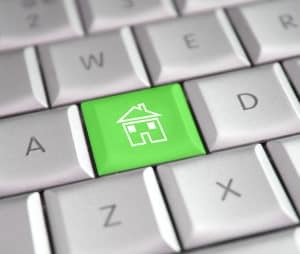 You’ve even employed the latest social marketing strategies for real estate to introduce visitors to your real estate blog and guide them to your website. While you have all of these elements working to attract visitors and convert them to leads, there is one essential element you may have overlooked: clear, easy-to-access contact information. If your contact information is difficult to find or hard to access, even the most interesting real estate website is not going to generate the actionable leads you need to succeed. Try the following four fixes; you’ll be amazed at the difference these simple changes can make in the number of real estate leads you receive! Visitors should be able to contact you easily from any page on your real estate website. When visitors page through your site and come across a special property that excites their interest or a neighborhood description that sounds like home, they should be able to contact you easily without having to hunt through your website for a sitemap. Make sure your contact information is prominently displayed on every page, not buried on a Contact Us page. An ideal place to put this information is the top right corner of your website, so visitors can always find it without extended searching. While many visitors to your real estate website will want to call you directly, some will prefer to use email for their initial contact. Make sure visitors have their choice of contact methods by including both your phone number and email address in the contact information you put on all your webpages. Link your email address with a mailto tag so that visitors can click and instantly be taken to their email program without the need to copy and paste your address. Visitors are so accustomed to seeing boring “Contact Us” buttons and taglines that they may not even them register as calls to action. Instead of settling for this ho-hum approach, stir up interest with dynamic calls to action that advance your visitors towards their goal of home ownership. Add time signifiers to add a sense of urgency to your calls. The simple tactic of changing an insipid “Contact Us” to “Call to schedule your showing now!” or “Call to find your dream home today!” will generate higher call rates as visitors respond to the encouraging suggestions. Some visitors may require a higher level of encouragement to make contact. Even though they may be interested in the real estate properties you offer, some visitors may not be willing to interrupt their browsing to make a call or shoot off an email. Consider adding an extremely short contact form to the bottom of your webpages to capture inquiries from these visitors. Once you add this contact form, visitors won’t have to leave the listing pages or neighborhood pages that interest them to contact you; they can just fill out three or four fields and hit send. Keep required information to a minimum – all you really need to know is your visitors’ name, contact information, and if they are interested in buying or selling. You can find out everything else once you have your leads on the phone. For more help boosting your real estate lead conversions, you can always turn to For Sale Marketing. There’s a reason we’re known as the real estate marketing agency Fort Lauderdale realtors rely on for expert marketing services; we’ve helped realtors throughout South Florida increase their lead conversions with a full range of online real estate marketing strategies. From responsive real estate website design to expert SEO copywriting services, social marketing strategies, and more, we can provide you with everything you need to ensure your real estate marketing success. Contact your marketing team at For Sale Marketing today at 954-779-2801 for the expert real estate marketing services to ensure the success of your South Florida real estate agency!